Summer is here, we are all melting in the heat and humidity, main things on everyone’s mind is cooling down our body. And when it comes with watermelon, no matter it is a sweet, nutritious and refreshing fruit. 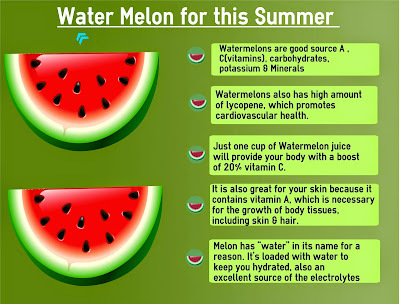 Watermelons are good source A , C(vitamins), carbohydrates, potassium & Minerals. 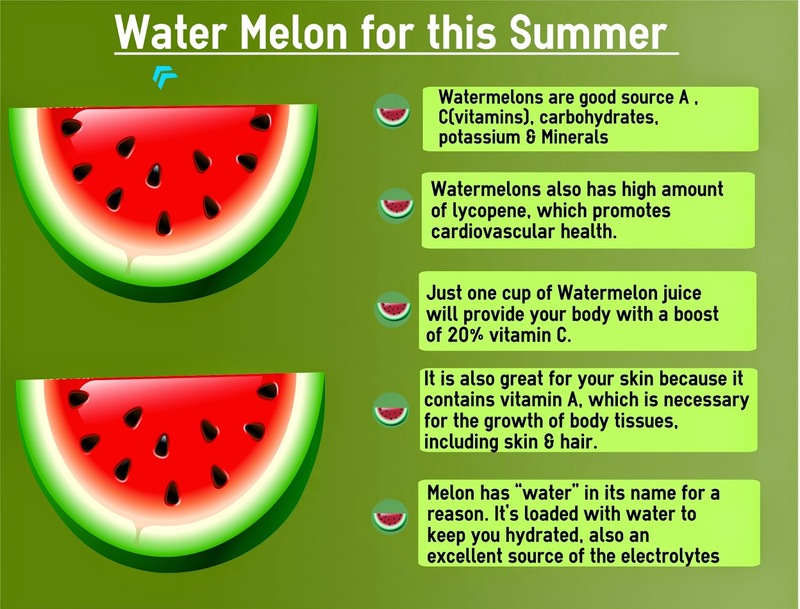 Watermelons also has high amount of lycopene, which promotes cardiovascular health. Just one cup of Watermelon juice will provide your body with a boost of 20% vitamin C.
It is also great for your skin because it contains vitamin A, which is necessary for the growth of body tissues, including skin & hair.It is also great for your skin because it contains vitamin A, which is necessary for the growth of body tissues, including skin & hair. Melon has “water” in its name for a reason. It’s loaded with water to keep you hydrated, also an excellent source of the electrolytes. 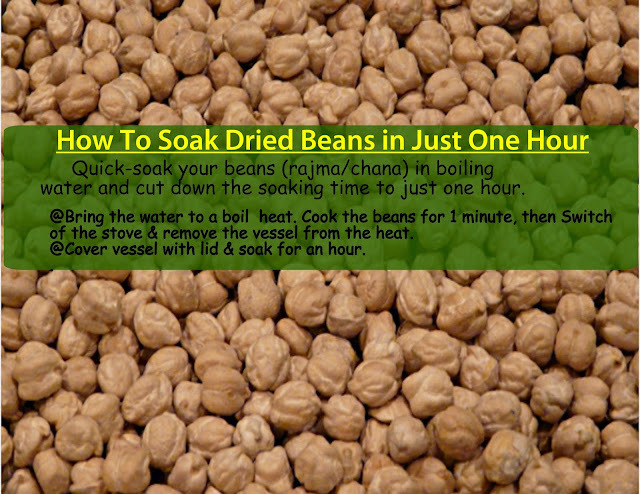 Quick-soak your beans (rajma/chana) in boiling water and cut down the soaking time to just one hour. Bring the water to a boil heat. Cook the beans for 1 minute, then Switch of the stove & remove the vessel from the heat. Cover vessel with lid & soak for an hour. 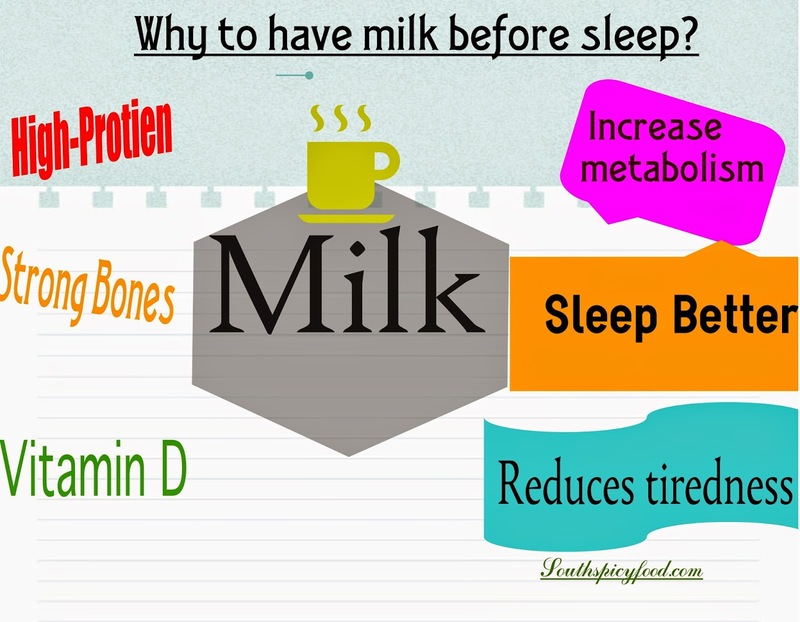 Why to have Milk before sleep? Milk has been a part of diet for hundreds and thousands of years, a variety of vitamins and minerals required for good health. Hence milk is considered a complete food. Drinking a glass of warm milk will help you fall asleep. The Truth: The theory is this: milk contains tryptophan (the amino acid best known for being in turkey),which helps in increasing the melatonin (also known as the sleep hormone) level in the body .Lack of sleep is a common complaint; with only one in 10 of us saying we always get a good night's sleep. Sleeplessness not only leaves you feeling tired, but can also results in your moods upset. 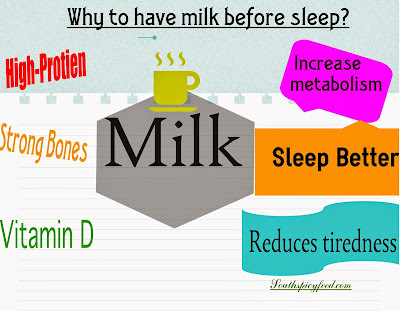 Hence drinking warm milk before bed may have better sleep than before. Please follow my blog and give your valuable comments and suggestion.Your comments are most precious to me.